A referendum on the repeal of the 8th Amendment of the Constitution of Ireland is to be held this year. It is likely, as with previous referendum campaigns, that a great deal of attention will be devoted to the matters of ‘fairness’, ‘impartiality’, ‘objectivity’, and that broadcasters, particularly the State broadcaster RTÉ, will devote equal airtime to voices for and against. If an article in the constitution is the subject of a referendum, it follows, in the interests of the ‘impartiality’ regularly cited to ensure that both sides are given equal hearing, that the assertions of that article should not be reported as valid. Some people will argue that the article is valid and others will argue that it is not. So, having regard for the declared need to ensure ‘impartiality’, it follows that a broadcaster should not do anything to give the impression, from its own coverage, that the article is valid. Or not valid, for that matter. Yesterday afternoon RTÉ Radio 1 ran a news report during its Drivetime programme on Fianna Fáil leader Micheál Martin’s speech in support of repealing the 8th Amendment. Introducing the speech, household name Eileen Dunne referred to “the 8th Amendment that recognises the equal right to life of the mother and her unborn child”. This is a paraphrasing of the wording of the amendment. It is also -perhaps coincidentally- the exact wording used on the Wikipedia article on the 8th Amendment (as of today). Given that the amendment in question will be under consideration for removal through a referendum, you might conclude that impartiality means not taking a stance on whether the right mentioned by the text, or the categories associated to that right, exist in fact. Some people think the right exists, others do not. If we say “the 8th Amendment recognises the equal right to life”, which is what RTÉ News says, then we are tacitly proposing that this equal right to life actually exists, and that the 8th Amendment recognises it. Hence its removal would not remove this right from existence: it would simply remove it from the constitution. If we refer to “mothers” in this way,, we are tacitly proposing that anyone who is pregnant is a mother, regardless of whether they want to be or not. If we refer to the “unborn child” in this way we are tacitly proposing that anyone who is pregnant ought to be considered as carrying an unborn child, regardless of whether they wish to give birth to a child. Or in other words, the question of whether they are going to give birth to a child is not a matter for whoever is pregnant. 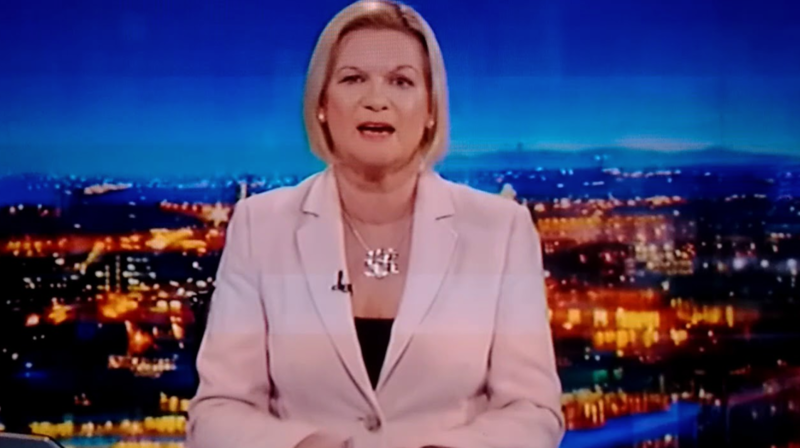 The point is that the validity of what the constitutional amendment says is being contested by a referendum, but RTÉ in this instance (and I would venture that this happens regularly, not only with RTÉ) has effectively reported that what the constitutional amendment says is valid, and in so doing has conveyed the political perspective that informs this constitutional amendment as simple fact. Such reporting cannot be considered impartial. Later on in the Drivetime programme, RTÉ played a 42-second recording of Micheál Martin’s speech, and a one minute long recording of Fine Gael anti-choice TD Peter Fitzpatrick’s malign drivel.